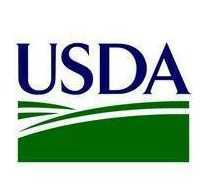 WASHINGTON – June 1, 2015 – (RealEstateRama) — The U.S. Department of Agriculture (USDA) today announced that incentives will resume this summer for farmers, ranchers and forest landowners interested in growing and harvesting biomass for renewable energy. The support comes through the Biomass Crop Assistance Program (BCAP), which was reauthorized by the 2014 Farm Bill. BCAP provides financial assistance to establish and maintain new crops of energy biomass, or who harvest and deliver forest or agricultural residues to a qualifying energy facility.